Advantech is a leading player in the digital healthcare market, with years of trusted experience. Advantech has worked with international medical equipment manufacturers and system integrators, building the core competencies of Advantech’s Medical Computing Division, in order to assist hospitals with establishing patient-centered healthcare environments and universal digital healthcare platforms. All our medical computing solutions feature comprehensive high-performance systems designed with the utmost care and quality to provide uninterrupted, mission-critical support for healthcare applications. 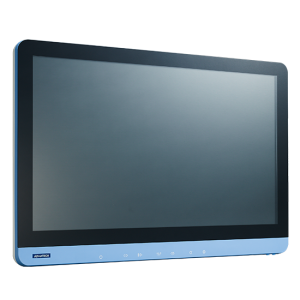 Built to meet the strictest of industry standards, Advantech’s medical computing systems satisfy UL60601-1 and EN60601-1 regulations for medical safety, feature IPX1 certification and drip proof enclosures for dust and water protection, and are CCC certified for electronic safety. In addition to offering long-term product support, Advantech ensures that all its solutions are highly reliable, easy to install, and can be seamlessly integrated into existing hospital infrastructures. Advantech Kostec provides ultimate quality images for endoscopic and surgical image systems. 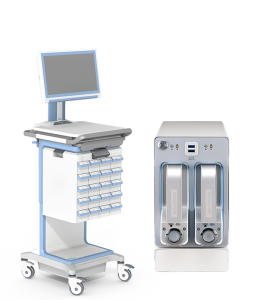 Surgeons, doctors, medical professionals and system integrators will be able to find the high quality solutions for any applications and their OR environment. 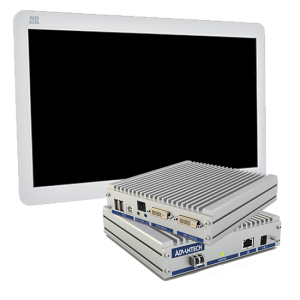 We deliver a complete hospital streaming solution together with our medical grade panel PCs, medical displays (with integrated NDcoder) and Mobile Solutions, including lossless 4K UHD zero-latency video streaming with mouse- and touch-thru. 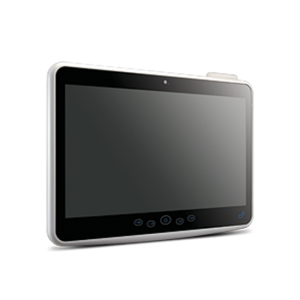 Advantech all-in-one healthcare information terminals are intelligent bedside terminals for healthcare. The all-in-one bedside terminal can also be applied to homecare service and offers medical staffs a secure access to electronic patient data for diagnoses. 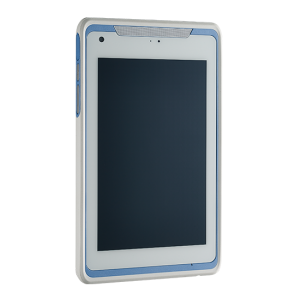 Advantech’s iPS intelligent power system, with the latest industrial-grade and hot-swappable LiFePO4 battery, provides a medical-grade solution for long-lasting source of energy on mobile computer carts.